Although I am truly devoted to chocolate, this classic Thai dessert holds a very special place in my heart. It may not sound like much, but I assure you, the taste is life-altering. I remember the first time I tasted sticky rice with mango quite clearly. It was 1997, I was 20 years old and my friend, Katie and I were newly arrived in Bangkok, Thailand, our first stop on a trip round the world in lieu of our second semester of junior year at Wesleyan University -- and an excellent trade off at that! We were with our wonderful hostess, Sumitmai, an amazingly generous, fun-loving, retired Thai woman who had more or less adopted us shortly after we landed in Bangkok's oppressive heat and humidity. She guided us to a booth in one of Bangkok's many markets where she procured a large serving of kao niow mamuang (a.k.a. sticky rice with mango) which she assured us we would like. We dug in, not realizing that our minds were about to be blown. The sweet, coconut milk-flavored rice was warm, chewy and delicious on its own. But paired with the expertly sliced (cutting fruit is truly an art in Thailand) buttery, perfectly ripe, yellow mango, it became something else entirely. Naturally, Katie and I polished it all off within minutes, looking sadly at the empty container when the last grains of sweet, sticky rice were gone. From that point on, we bought sticky rice with mango at every opportunity, something I've continued to do in the 13 years since then. I made two attempts at making sticky rice with mango at home - both ended in utter disaster... So I've settled for ordering it at Thai restaurants from time to time. Given the depth of my passion for kao niow mamuang, you can probably imagine my delight when I saw it on the list of recipes I'd be learning at the excellent Thai cooking class I took three years ago. The class was taught by Kasma Loha Unchit, an expat Thai woman who lives in Oakland, California. It was hands-down the best cooking class I've ever taken. One night a week for a month, Kasma covered the basic philosophy of Thai cuisine, where to find the best ingredients in the Bay area, what brands were best (preservative and additive-free and made with the highest quality ingredients), fascinating bits of Thai history (for example, did you know that pad thai, Thailand's national dish, was invented by the Chinese?! ), and a dizzying array of delicious Thai recipes. 1. Buy the right rice! Sticky rice is not sushi rice, that is a different variety that won't work for this (I've tried and failed). 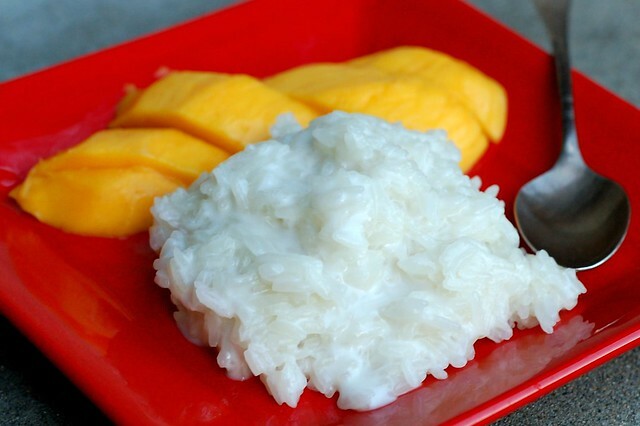 Sticky rice is also called "sweet rice" or "glutinous rice". According to Kasma, who has certainly done her research, the best brands to buy are Buddha, Golden Phoenix or Butterfly. If at all possible, buy a rice from Thailand to make sure you're getting the right kind. 2. Buy the right equipment. It's super easy to make delicious sticky rice if you have the right equipment, namely a bamboo steamer and a steamer pot made specifically for this purpose. The bamboo steamer looks like a sort of odd, pointy hat and it sits point-down in the steamer pot. 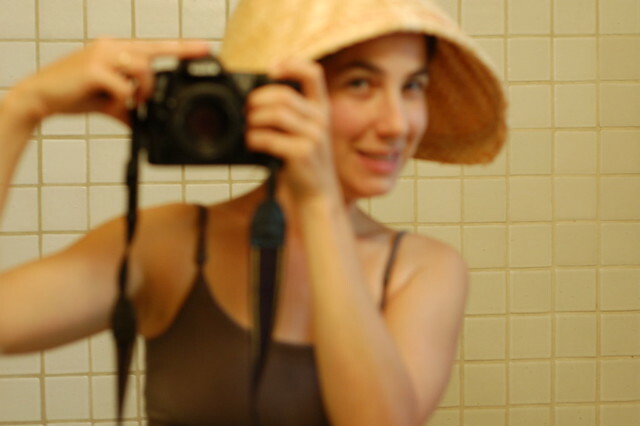 Here is a blurry picture I took of me wearing the steamer basket as a hat. The pot is shaped more like a jug. You can probably find these things at Asian markets (if they stock South East Asian goods) if you have one close by. However, if not, you can also buy them online for $12 - $30 . 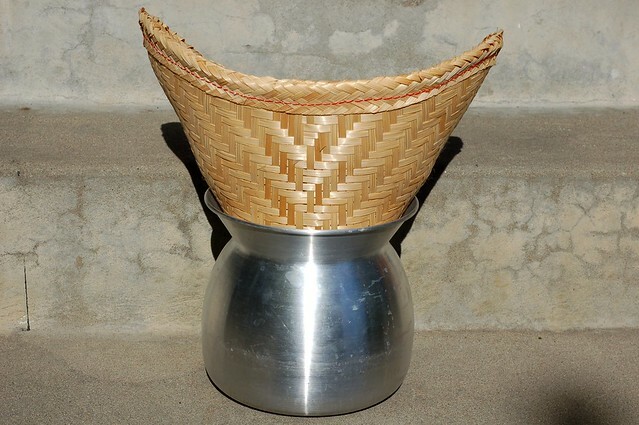 Kasma's instructions were to boil the bamboo steamer/hat before using it the first time to make sure it does not impart a really bamboo-y taste to the rice and to ensure that it is clean since it's probably traveled quite a distance to reach your kitchen. Just submerge it in a large pot of boiling water for a few minutes. 3. Don't forget to soak the rice! This is the part that has derailed my plans a couple of times... You must soak the rice before steaming for at least 4 hours (or overnight) to allow it to soak up extra water before you cook it. 4. Get good mangoes. The rice will still be tasty but pairing it with ripe, delicious mangoes will make a big difference. 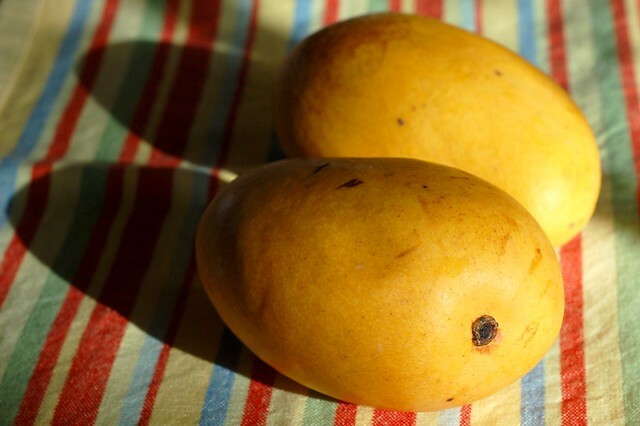 Manila mangoes are probably the best fit for this recipe - they have a soft, yellow, string-free flesh that is most similar to the Thai mangoes. Follow these rules and you'll be golden! 1. 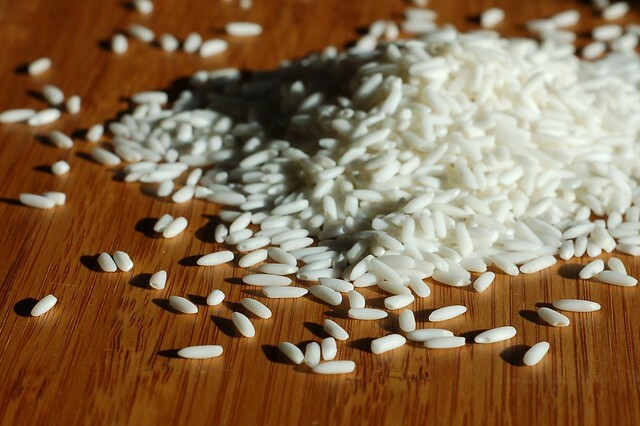 Rise the sticky rice once or twice, cover with tap water 2-3 inches and soak for four hours (or overnight). The rice will absorb much of the water and grow in size. It will also soften such that the grains will easily break if pressed between the fingers. 2. Drain the rice and pour it into the bamboo basket. 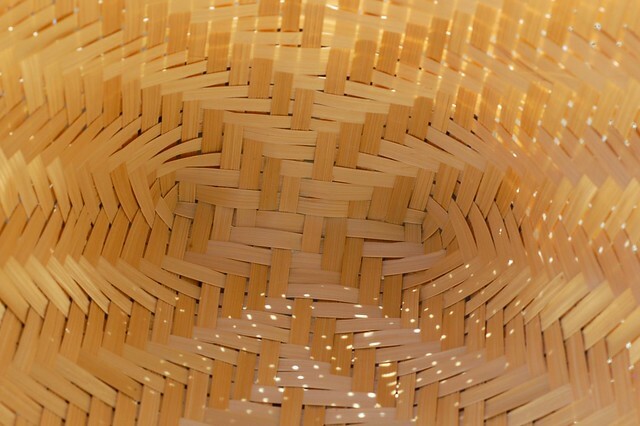 Place the bamboo basket to steam over 2-3 inches of water in the metal pot. Cover the top of the bamboo basket with a smallish pot lid and steam for 40-45 minutes, until the rice is thoroughly cooked and, well, sticky. 3. While the rice is steaming, make the coconut sauce: heat the can of coconut milk with the sugar and salt and stir until the grains have all dissolved. 4. Once the rice is finished, dump it out of the basket into a bowl and stir in half of the coconut mixture, mixing well to combine. 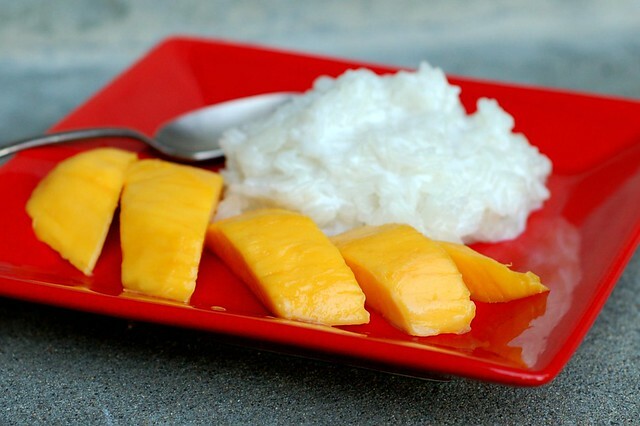 Slice the mango and serve with the rice, drizzling more of the coconut sauce over the rice before serving. Wonderful dish. I have yet to try that, but would like to. Cheers! This is my best friend's favourite dessert and I've never tried to make it. I will give this a try when she visits this summer, Thanks!